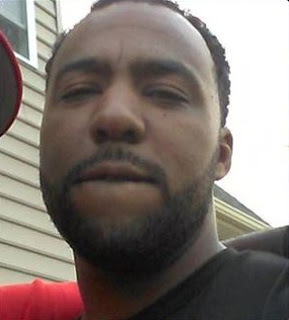 Curtis Smith, a White House fence jumper from March 2015, is the man who was killed at the Chester County Justice Center in West Chester, Pennsylvania, on August 25, 2015. NBC Philadelphia notes that the shooting took place just before noon on August 25. A lockdown followed, with the area where the shooting occurred evacuated. Two people were injured as a result of the shooting. One of the victims is a Chester County sheriff’s deputy, the other is Curtis Smith who later died after being shot by a different deputy. The gunfire broke out in the lobby of the complex’s “justice center,” says Daily Local News editor Andy Hachadorian. The sheriff’s deputy is thought to be in stable condition. CBS Philadelphia reports that Smith was armed with a knife and that he tried to gain access to the courthouse before being shot three times. Smith was dressed in all-black and jumped a deputy, while shouting “I’m going to get you,” noted Fox Philadelphia. Smith was arrested in Washington D.C, accused of trying to get into the White House complex, apparently on March 1, 2015, according to the Daily Local News. This was during a bizarre 24-hour period when two others were accused of committing same crime. The Washington Post writes that Smith told authorities that he needed to pass a message along to President Obama. On Sunday night, an unnamed suspect stepped over a bike rack situated outside the White House fence. The bike racks were installed last year following a high-profile fence-jumping incident that involved an Army veteran armed with a knife. Early Monday morning, another person attempted to walk through a gate while a construction crew were leaving. According to NBC, both men were taken into custody, and the Secret Service has given the all-clear at 1600 Pennsylvania Avenue. The agency has been tight-lipped about the two breaches, which are now under investigation. The suspects have not been named. The bike rack-jumping incident took place at around 11.30pm Sunday near the southwest corner of the presidential residence, reported MyFox DC. The male suspect was arrested and charged with unlawful entry. The breach led to a 30-minute lockdown at the White House. Just before 7am Monday, another man allegedly tried to walk into a pedestrian entrance as construction workers were leaving the area. A Secret Service agent stopped the intruder in his tracks and arrested him after a brief confrontation. The White House was placed on another lockdown that lasted only a few minutes following the second incident. In September 2013, Smith’s brother, Derek, was sentenced to 15-to-30 years for killing his father, Steve Washington, in West Chester. The West Chester Daily News noted at the time Derek Smith pleaded guilty to killing his father on President’s Day 2012 after an argument. Derek Smith told police that he and his father had gotten along but after drinking a can of beer he became “pumped up” about his relationship with his father. He then shot his father twice with a .38 caliber Smith & Wesson handgun. He later expressed remorse for the crime. Smith lived in Coatesville, Pennsylvania, but allegedly was a native of Thorndale. He attended high school in Coatesville. Coatesville has had strange things happen there before. I've noted it in Mysterious America as a bizarre location in Fortean literature. In 2009, there were over 18 mysterious fires in Coatesville. Before the "Mad Gasser of Mattoon" hit Illinois in 1944, the following occurred in Coatesville. Coatesville, Pa., Feb. 1 - Police were joined by chemists today in an effort to determine what type of gas killed three members of a Coatesville family and made two neighbors seriously ill. The bodies of John Refford, 55, his wife, Myrtle, 51, and her brother, Charles Johns, 54, were found by police last night in the Refford home, in various rooms of the house. In adjoining houses police found Mrs. Elmer Dripps and Mrs. William Cohen, who were ill. The article, “Mysterious Beast Is Sought in Chester Co.” was published in the Lebanon [Pennsylvania] Daily News, on February 15, 1939. His last visible Facebook post was a MEME with the word “Shalom” written across it. 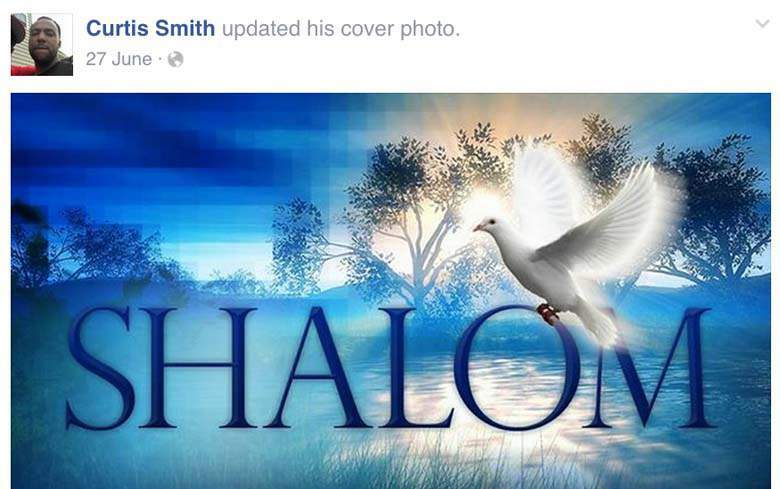 He writes on his page that he’s single and that “I’m on team holy ghost,” as well as “L.D 4 life can’t read or right but ready to fight through christ.” Smith lists the Bible as his favorite book.